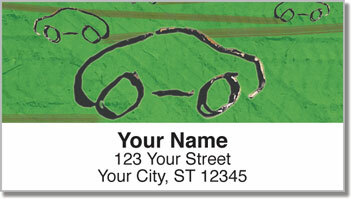 You're sure to get a kick out of these unique address labels that pay homage to the ordinary sedan. Though the simplistic sketches lack detail, that's the key to their charm! But take a closer look-isn't that the texture of tire treads in sand coming through the brilliant blocks of background color? See? 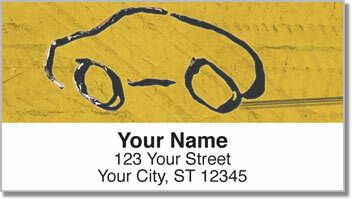 We told you these labels are cool! 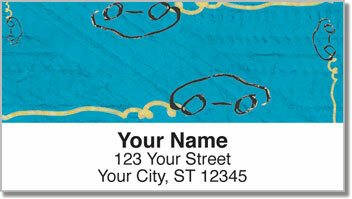 Also available as a set of matching Car Sketch Personal Checks, this design offers pure motoring fun, even before you head out the door to the post office! 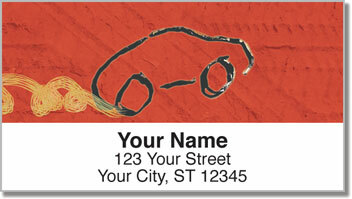 Get your very own Car Sketch Address Labels today!